The Jeep Cherokee has been absent from UK shores since 2011 but it's fair to see it didn't exactly leave a big hole in the market. Now the Cherokee is back and Jeep has high hopes for its new SUV which marks the beginning of a reinvigoration for the brand now owned by Fiat. 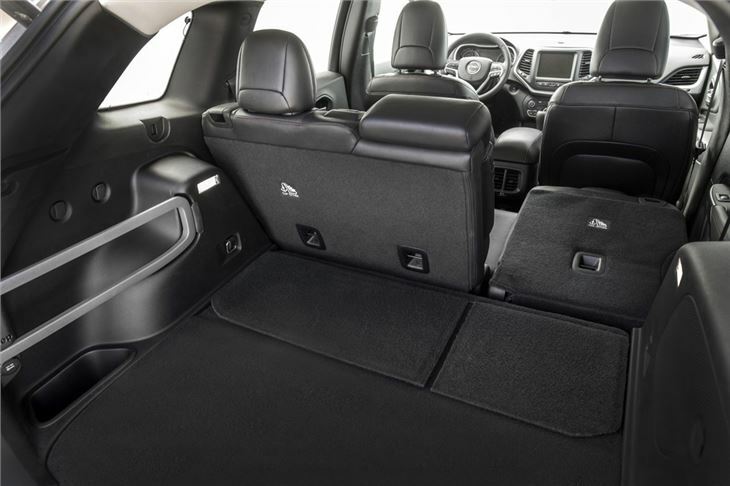 Last year saw a much improved Grand Cherokee launched and earlier this year Jeep unveiled a new smaller SUV, the Renegade, which has created plenty of interest. For the new Cherokee, Jeep is moving things more upmarket. It has realised it cannot merely trade on its rugged and outdoorsy image as it once did, so it's no surprise to see big improvements from previous Jeep models in terms of quality and design. 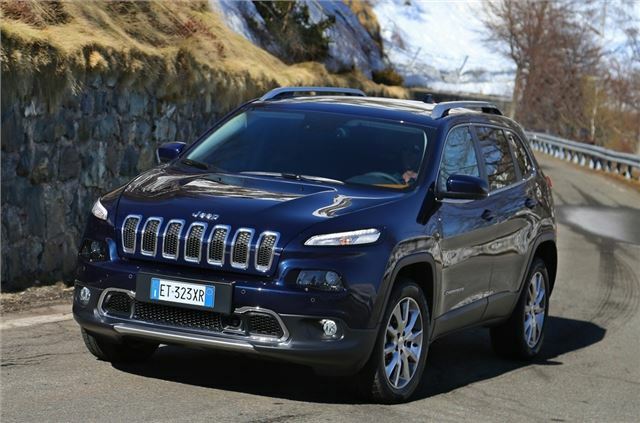 The new Cherokee is certainly distinctive, especially from the front with that odd nose but some things continue like the traditional Jeep grille, albeit with a new take on the old design. It's not the most handsome of SUVs but it certainly stands out. It's a shame therefore that the interior isn't as daring. It's a fairly traditional and conservative design but on the plus side it gets all the basics right. The controls are all intuitive and well located while the Uconnect system which was first seen on the Grand Cherokee is an excellent media system which is simple to use and has a lovely crisp display. Other manufacturers could learn a lot here. Quality and finish is an area Jeep has focussed on with the new Cherokee and it's certainly better than Jeep offerings of the past, although that's hardly saying much. It feels a well built car inside with good perceived quality helped by the soft touch materials on the dash and a good quality leather steering wheel. It's not quite up to premium car standards, the door inners have a fair bit of flex in them and it doesn't feel particularly special or stylish, but it's solid nonetheless. In terms of engines the Jeep uses a Fiat-sourced 2.0-litre MultiJet II common rail diesel that comes in two versions. There's a lower powered 140PS model with a manual gearbox that's available in either two or four-wheel drive, or a top 170PS version that comes with an automatic gearbox as standard. A more off-road version called Trailhawk, which is powered by a 3.2-litre V6 petrol, will be available but in very limited numbers in the UK as a 'special order' version. Neither diesel model is especially quiet on start-up or when pressed into hard work, but in every day driving the four-cylinder diesel is refined enough as to not be obtrusive. It pulls well with both versions delivering 350Nm of torque from low down so there's no reason to really work the engine hard. The 140PS version is good enough and rarely feels sluggish while the six-speed manual gearbox offers reasonably positive changes. The more powerful 170PS engine would be our choice but mainly because it's the only one that comes with the automatic gearbox. This new nine-speed auto may seem to have an excessive number of gears, but it works particularly well with the MultiJet II diesel with swift yet smooth changes. It avoids the often common problem of hunting for the right gear at town speeds and is responsive when you ask it to kickdown. Most people buying an SUV of this size prefer the convenience of an automatic and the Jeep version is one of the better gearboxes around. It's pretty good on fuel too with an official average of 48.7mpg and emissions of 154g/km which puts it in VED band G, currently £180 a year. The two-wheel drive 140PS is the most frugal with a claimed 53.3mpg and CO2 of 139g/km. When it comes to handling Jeep has really upped its game with the new Cherokee. 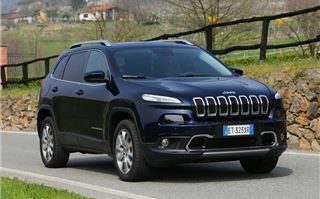 Jeep handling has traditional been of the soft and soggy variety but the Cherokee is impressive for an SUV with good body control and responsive steering, albeit with an artificial feel. 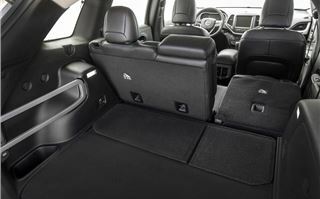 It's strong in corners and gives you plenty of confidence – not something you could say of Jeep models in the past. The ride quality is reasonable good too, although it is a touch noisy over rough roads, but at motorway speeds the Cherokee is pretty serene with very little wind noise. Equipment levels have yet to be finalised for the UK but there will be three trim levels and you can expect decent levels of standard equipment with features like an electric tailgate being offered on top models. One really interesting feature is a wireless charging pad that can be used for phones. It sits under the central armrest, although despite our best efforts we couldn't get it to work on our test car using an iPhone. So what about price? Well Jeep hasn't confirmed UK pricing but has indicated that it will start at £25,500 for the 140PS two-wheel drive Longitude model rising to £35,000 for the top 170PS 4x4 Limited version. That puts it up against competitors like the impressive Hyundai Santa Fe and diesel versions of the Honda CR-V.
As an alternative to SUVs like the CR-V, the Jeep has plenty going for it. Not least a strong image and a genuine off-road capability. Like all Jeep models, the Cherokee can cover proper tough terrain. This is no weekend soft-roader. Of course whether owners really want that is another matter and for those that do the Land Rover Freelander, although now several years old, still holds plenty of appeal. But you can expect plenty of standard kit with the Cherokee and it's certainly a big step in the right direction for the brand.